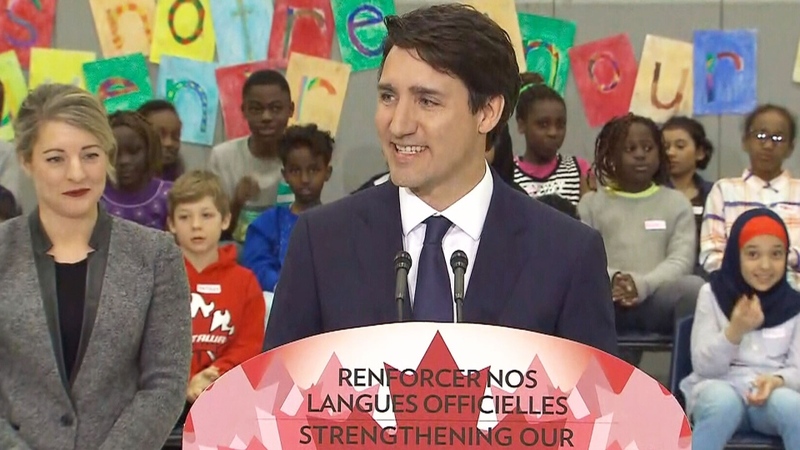 OTTAWA -- The federal government unveiled its action plan on official languages Wednesday, funded with an extra $500 million over five years that will go toward a host of services for minority-language communities across the country. About two-thirds of the new money is dedicated to organizations that promote either French or English in cities and towns where the language is in the minority. The cash is in addition to the $2.2 billion over five years that had already been earmarked for these community groups. Canada's plan is a signal the federal government is serious about defending the country's two official languages, Prime Minister Justin Trudeau and Heritage Minister Melanie Joly said during the announcement. The government's plan is three-fold: reinforce minority-language communities; offer better access to French-language services outside Quebec; and promote bilingualism. "It's not a secret that the French language outside Quebec has regressed over the past few years," Trudeau said to a friendly crowd of francophone community workers in Ottawa. 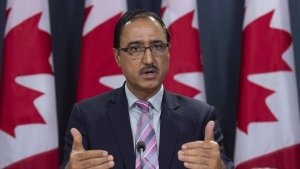 He accused the prior Conservative government of underfinancing official languages programs and of not making the country's bilingual character a priority. In an interview Tuesday with The Canadian Press, Joly said her government decided to give the money directly to people on the ground working within minority-languages communities. "The choices that we made were about giving the majority of the investments directly to communities -- the vast majority -- as opposed to the provincial and federal governments," she said. French-language education is also a priority in the action plan, as is training for French teachers as well as cultural activities in schools and community centres. The plan includes $40.8 million over five years to help increase francophone immigration outside Quebec by 4.4 per cent by 2023, as well as $20 million over the same period for French-language daycare spaces in English Canada. Details of the immigration strategy are to be released at a later date. Anglophone communities in Quebec will also have a share of the pie, especially those outside of Montreal. Sums will be set aside for special projects with the support of the newly created secretariat for relations with English-speaking Quebecers created by the Quebec government. Joly said Wednesday that Ottawa recognizes Anglo-Quebecers have specific needs. "The federal government has always played a leadership role to support English communities' linguistic rights in Quebec ... and so we are increasing their budgets in order to better support these communities and we are recognizing their specific needs --especially in rural regions." There will also be funding to help the City of Ottawa become officially bilingual. A bill to formalize such status for the Canadian capital was passed by the Ontario legislature in December. The government's action plan followed consultations that took place in 2016 in 22 cities across the country. Prime Minister Justin Trudeau and Heritage Minister Melanie Joly announce an official languages action plan on Wednesday, March 28, 2018.